It’s hard to miss this gentle giant because of his large stature and heart for people. Joshua came to the offices at Global Strategy from the field, where he had been serving with our Three Worlds team in Europe for nearly four years. His heart for service, community, and building bridges between people, was fostered at Anderson University, where he studied Christian ministries. 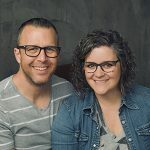 For seven years of his early ministry, Joshua was an associate pastor with youth at Park Place Church of God where he was exposed to a wealth of global experience. In his role as Projects and Mission Experience coordinator, Joshua hopes to bolster the work that we are involved in globally by continuing to rejuvenate our systems of partnership and cultivate ways to more wholly tell the stories of our local churches globally.